In this example, Maven 3.5 is used. It can be downloaded as a binary distribution from the Apache Maven Website. The operating system version used here is Mac OS Sierra (10.12.6). OS name: "mac os x", version: "10.12.5", arch: "x86_64", family: "mac"
| This is a list of proxies which can be used on this machine to connect to the network. | specification in this list marked as active will be used. | Specification for one proxy, to be used in connecting to the network. 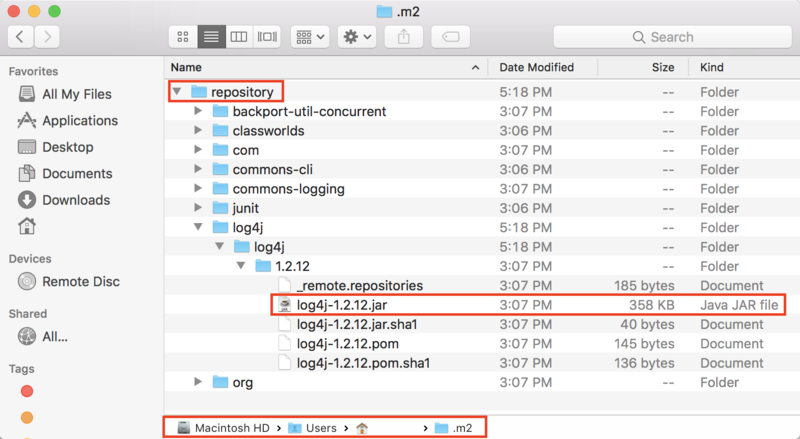 When Maven first downloads required dependencies to the local repository, the build may take a while. The output should look like below and result in a BUILD SUCCESS message. 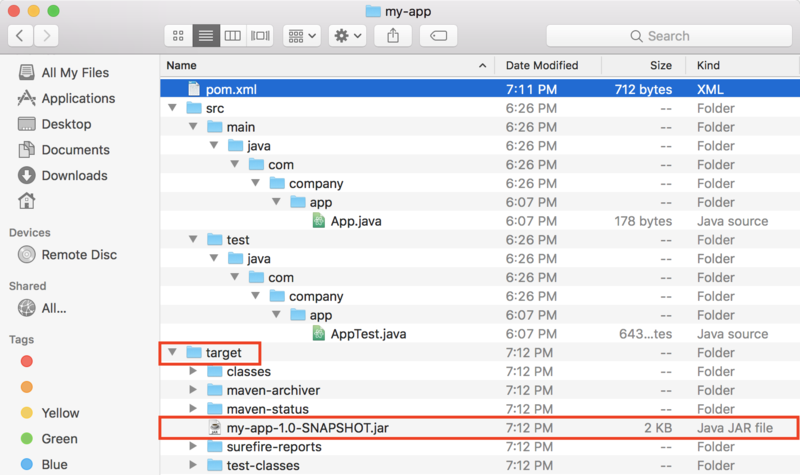 The Maven Central Repository is used to find and add dependencies to a project’s POM file. 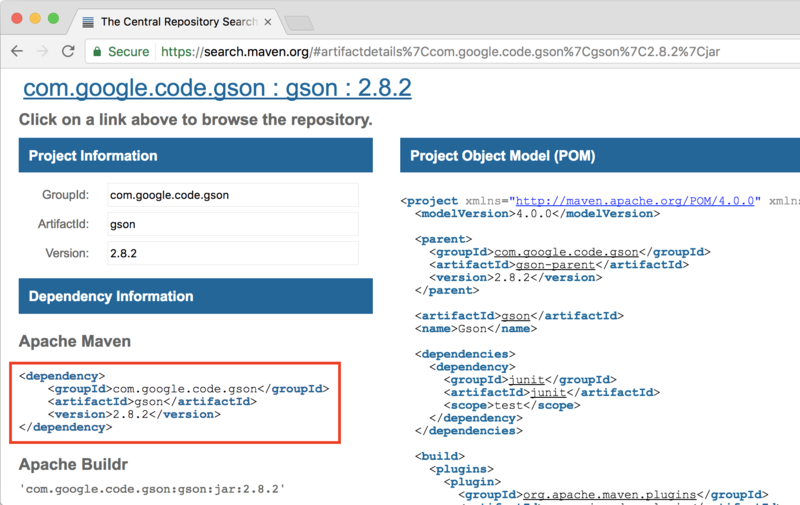 For example, to add support for JSON processing to the project, Google’s GSON API can be used. 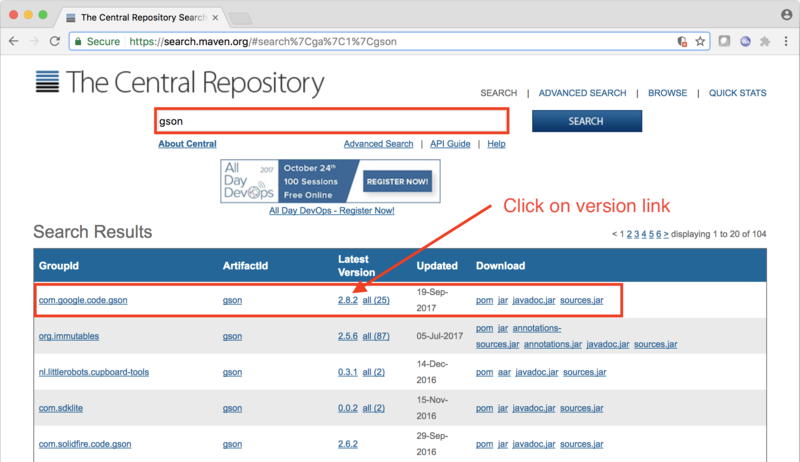 Search for "GSON" in the Maven Central Repository to find the Maven dependency information. The scope of the new dependency is not specified. It is compile by default. See Dependency Scope for more information.